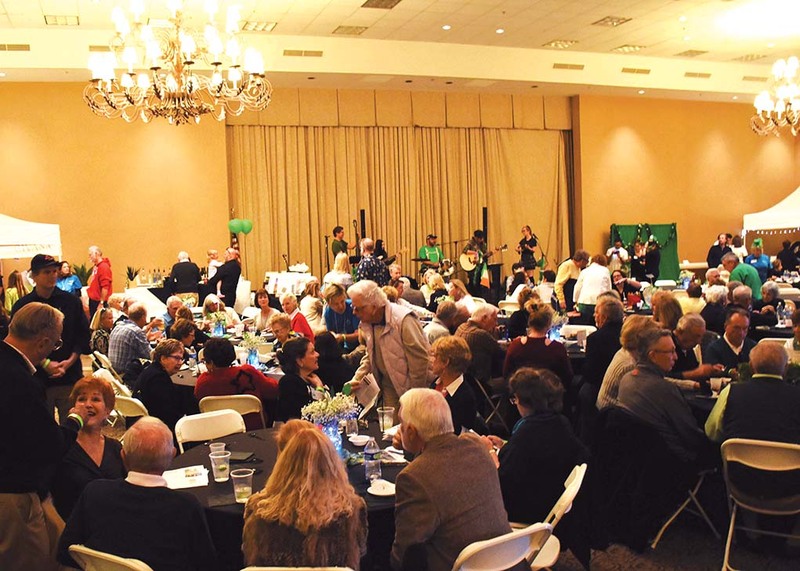 With high winds and rain in the forecast and their fundraiser scheduled for outdoors at Stagecoach Village, The Foothills Caring Corps needed to find a new location in 24 hours. New neighbor, Civana Carefree Resort, (formerly The Carefree Conference Resort) proved to be a great neighbor and hosted the event in their ballroom. I had toured the resort, which is still undergoing some renovation, earlier in the week and I asked what benefits the community would see from the new company. One of the responses was helping out local nonprofit organizations. Civana proved true to their word. 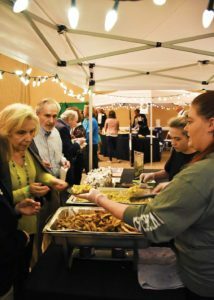 Attendees feasted on tasty treats from around the area. 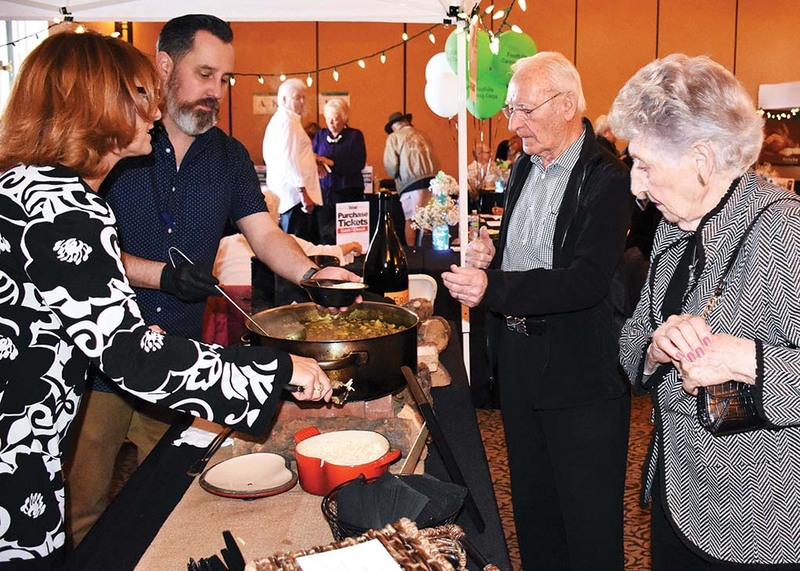 Participating restaurants were Harold’s Corral Cave Creek, The Herb Box, Liberty Station Tavern, Venue’s Café, Bryan’s Black Mountain Barbecue, CIVANA Carefree, It’s a Divine Bakery and Café Bink. With St. Patrick’s Day just around the corner music was provided by Kilted Spirit and dancers from Bracken School of Irish Dance also entertained the crowd. 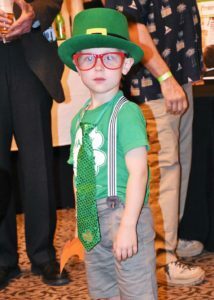 Channel 15’s Terry O MC’ed the event and Jonathan Blair was auctioneer.